Maria Sharapova booked her place in the Porsche Grand Prix semi-finals by claiming a comfortable victory over Estonian qualifier Anett Kontaveit in Stuttgart. The Russian is yet to drop a set in her first three matches since returning from a 15-month doping ban this week, having been sanctioned after testing positive for meldonium at last year’s Australian Open. 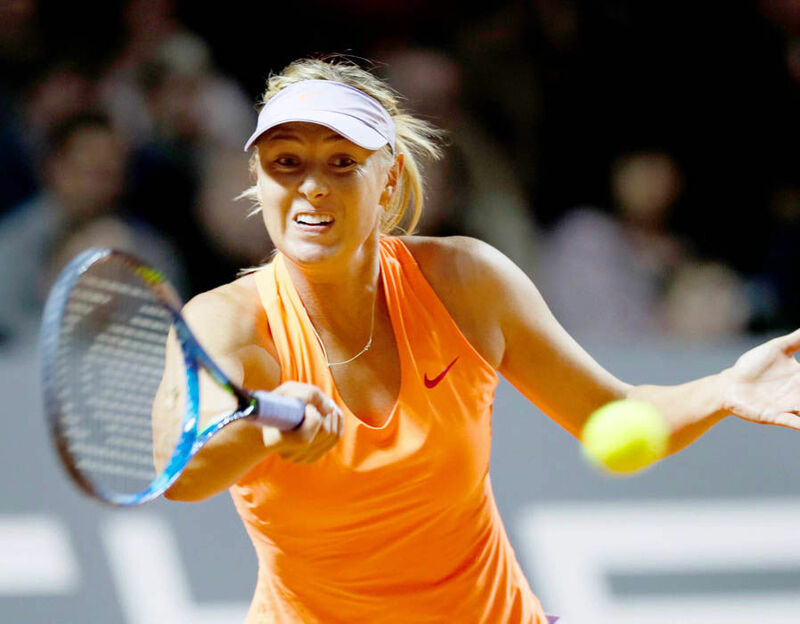 Sharapova broke twice in the first set of her quarter-final clash with Kontaveit, ultimately taking the opener 6-4. Despite her best efforts, Kontaveit was unable to replicate the form which saw her reigning French Open champion Garbine Muguruza of Spain yesterday. The Estonian would eventually fall to a 6-4, 6-3 defeat. Sharapova, a five-time Grand Slam champion, will now face the challenge of France’s Kristina Mladenovic in the last four. Mladenovic is one of several players to have publicly spoken out against the Russian being given wildcard entries to tournaments, following the completion of her ban. The Frenchwoman claimed last year that other players were “saying she’s a cheater” following Sharapova’s sanction. Mladenovic is in fine form in Stuttgart, as she backed up her victory of top seed Angelique Kerber of Germany. Her latest victory was an impressive 6-3, 6-2 success against Spain’s Carla Suarez Navarro. Latvia’s Anastasija Sevastova will meet Romania’s Simona Halep in the quarter-finals. The winner of the match will take on either Germany’s Laura Siegemund or second seed Karolina Pliskova of the Czech Republic.